"Don't need to look anywhere else. We received exceptional service and were taken care of as soon as we walked into every vineyard. They make sure of you are looked after. Book Spotlight limo for your wine tour and let them take care of the rest." 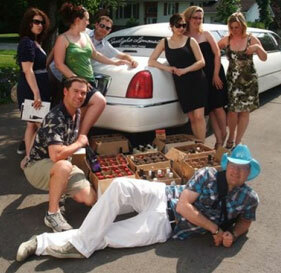 Spotlight Limousine your PRIVATE Prince Edward County wine tour specialist. Our wine tours are dedicated to you and your group. We don't fill up the seats with other people and your driver will NOT go running around, to fill all the empty seats. We also will NOT put you alongside strangers, who want to go to places you don't, thus wasting your timely, planned out day, for your private wine tour. This is YOUR Prince Edward County wine tour. We will work with you to create a memorable day for your custom tour. Your Chauffeur / Driver lives in the county and knows the county, very, very well ,from Carrying Place in the west end to the extreme east area of Cressy. Your driver can also show you points of interest like Cheese factories / souvenirs / B&B / Fishing Charter, etc let us know what you want and we can make it happen. Did you know that there are over 50 Wineries & Vineyards in Picturesque Prince Edward County? 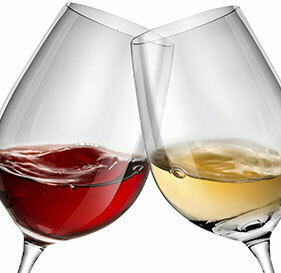 We have taken the time to visit and introduce Spotlight Limousine Service to these Wineries and have arranged for you, a unique Call-Ahead System --- it's like having reservations made just for you. We will co-ordinate your requested winery stops. Do you want to stop for lunch? We can make a reservation for you. Via Rail Customers: We will pick you up at the Belleville station, take you on your wine tour, then drop you back at Via Rail - Belleville. Contact Via Rail for schedule information. Note: Tasting fees at the wineries are NOT included. Ask your server at the winery about their tasting policy and pricing. We also have a bottle I.D. system for your individual purchases - so you can tell who bought what, at the end of the day. Some Wineries do not serve food, but they will allow you to use their patio, at no charge. This is a wonderful way to get a group together. Great idea for Mother's Day, Father's Day, Anniversaries, Birthdays, Any Day... All you have to do is call Spotlight Limousine to book and reserve your special day. Have a drink at the wineries and let us do the driving! Call us at 613-969-LIMO (5466) or use the form below to book now or to request more details. Maybe you want to coordinate your own day? --- Just Tell Us and we'd be happy to price it out for you. We will reply to all your emails, within 24 hours. If you do not get a reply, please check your Junk Email! !